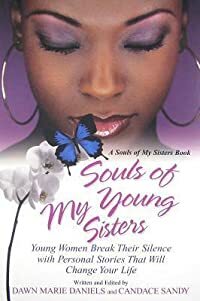 Winner of the 2015 RITA© award for Best First Book ***NOTE: The RUN TO YOU series, originally released as a six-part serial by Harlequin Teen, has been compiled into two full-length books: Run to You Book One: DECEPTION SO DEADLY and Run to You Book Two: DECEPTION SO DARK. The serial installments are no longer available*** Part One in the riveting romantic thriller about a family on the run from a deadly past and a first love that will transcend secrets, lies and danger… Sarah Spencer has a secret: her real name is Tessa Carson, and to stay alive, she can tell no one the truth about her psychically gifted family and the danger they are running from. As the new girl in the latest of count schools, she also runs from her attraction to Tristan Walker—after all, she can’t even tell him her real name. But Tristan won’t be put off by a few secrets. 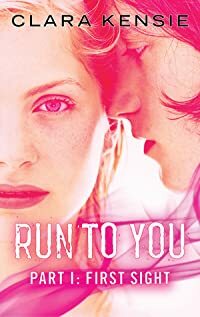 Not even dangerous ones that might rip Tessa from his arms before they even kiss… RUN TO YOU is Tessa and Tristan's saga—two books about psychic gifts, secret lives and dangerous loves. Each book is told in three parts: a total of six shattering reads that will stay with you long after the last page. Book One is First Sight, Second Glance, and Third Charm. Book Two is Fourth Shadow, Fifth Touch, and Sixth Sense. *Includes pictures *Includes contemporary accounts of the Nigerian civil war *Includes online resources and a bibliography for further reading *Includes a table of contents “[A] cardinal principle of British colonial policy [is] that the interests of a large native population shall not be subject to the will… of a small minority of educated and Europeanized natives.” – Lord Frederick Lugard Nigeria was the creation of a British businessman by the name of Sir George Taubman Goldie. The gifted son of a substantial Manx military officer and politician, Goldie was educated at the prestigious Royal Military Academy at Woolwich, after which he served briefly in the army before embarking on a journey of adventure to West Africa. The year was 1877, and the West African coast was sub-divided into the spheres of influence of various European trading concerns, and while some exploration of the interior had taken place, the European rush to claim the region had yet to begin in earnest. Nigeria was an unpopular destination for European settlement, thanks to its punishing climate and proliferation of tropical disease, so it saw very little direct European influence. Europeans were posted to Nigeria or sought employment purely to satisfy the needs of administration, and, of course, the various Christian missionary organizations were led largely by whites. Christian missions, incidentally, succeeded spectacularly in the spreading of Christianity across the animist south, but they made absolutely no inroads in the Muslim north. Nigeria was among the first African colonies to be groomed for independence, and upon its success as a free nation, Britain staked a great deal. 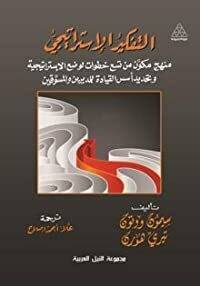 The process was lengthy, bearing in mind both the intricate ethnic tapestry of the region and the relatively complex systems of government, involving a number of different permutations in the 15 years between the end of World War II and 1960, when independence was finally granted. During this period, the realization began to dawn that the original 1914 amalgamation of the northern and southern protectorates of Nigeria might have been a strategic blunder, inasmuch as an attempt had been made to forge a single territory out of two radically different and mutually antagonistic blocs. It was, of course, too late by then to try and alter the political map of Nigeria, but perhaps the creation of two territories, rather than one, would have ultimately served the region better. On October 1, 1960, the new nation of Nigeria took its place on the world stage, and it was welcomed into the United Nations and the British Commonwealth. Riding a wave of official optimism, with its deep ethnic fissures for the time being hidden, Nigeria was hailed as a signature success in British decolonization. It would soon prove to be anything but a success. 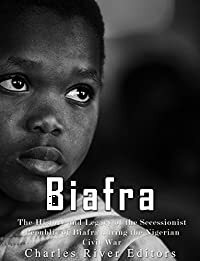 Biafra: The History and Legacy of the Secessionist Republic of Biafra during the Nigerian Civil War chronicles the story of Nigeria, its civil war, and the controversial secession of Biafra. Along with pictures and a bibliography, you will learn about Biafra like never before. This is the second of three volumes in Oliver O'Donovan's masterful Ethics as Theology project. In his first volume -- Self, World, and Time -- O'Donovan discusses Christian ethics as an intellectual discipline in relation to the humanities, especially philosophy, theology, and behavioral studies, and in relation to the Christian gospel.In Finding and Seeking O'Donovan traces the logic of moral thought from self-awareness to decision through the virtues of faith, hope, and love. 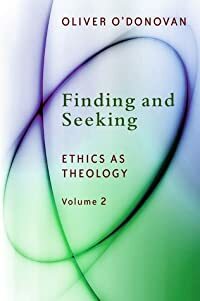 Blending biblical, historico-theological, and contemporary ideas in its comprehensive survey, this second volume continues O'Donovan's splendid study in ethics as theology and adds significantly to his previous theoretical reflection on Christian ethics.